U.S. affiliate marketing spending is expected to top $6.8 billion by 2020. Sixteen percent of all online orders are generated through affiliate marketing. Eighty-one percent of brands and 84 percent of publishers leverage affiliate marketing. Most affiliate marketing programs offer real-time tracking, which lets you know exactly when a link is clicked and a visitor goes to your site. Affiliate platforms also provide metrics on impressions, clicks, sales, and custom conversions like form submissions or email signups. Everything is trackable, and you can clearly understand the effect of your marketing campaigns. Affiliate marketing lets you supplement your promotions with affiliate links. For example, if you have a product launch coming up just before Christmas, send that product information to your affiliates so they can ignite buzz around the product. Your online promotional campaign may include a product launch countdown where you offer a discount on a different product each day until launch. Perhaps you're giving a behind-the-scenes look in a Facebook Live video of how the product was developed or a live Q&A. Whatever your promotion plan is, affiliate marketing can enhance your efforts. Ecommerce websites have about an 80 percent failure rate, which makes enlisting the power of affiliate marketing even more crucial. One of the top reasons websites fail is lack of traffic. Using affiliates to create brand awareness and supplementing that with strong social media engagement will help build your traffic and launch you into the 20 percent margin of success stories. Over the past two years, sales revenue driven by content publishers has risen 240 percent. Building relationships with strong affiliates takes time and guidance, but if you're committed to putting in the work, your time will pay off. Affiliate marketing accounts for 16 percent of all online orders. If you're not utilizing this inexpensive, effective way to increase revenue for your small business website, you're leaving cash on the table. It takes a lot of time and capital to market your small business, so enlist the help of a few trusted affiliates and get ready for more sales with a strong return on investment. The following three principles, curated from recent research and insights published in MIT SMR, demonstrate how successful retailers are responding to digital disruption and using insights to improve customer experience. 1. Leading with a small footprint and high experience. It should come as no shock that the age of customer experience is already upon us. Being competitive in the retail market today means being able to learn and adapt more quickly to the experiences that customers want. And while customers want great online experiences, this does not mean that brick-and-mortar will be a thing of the past any time soon. As noted in the aptly titled article “The Store Is Dead — Long Live the Store,” while some aspects of the typical off-line or in-store experience are eroding, others are now thriving. The article highlights online-first companies such as Warby Parker and Amazon, which have already led successful efforts in the “showrooming” experience for customers. While voice and AI strategies are still in their infancy for many in the retail sector, early adopters may gain key competitive advantages over laggards, given that by 2021 Gartner predicts that brands supporting voice search capabilities on their sites will increase digital commerce revenue by 30%. 3. Investing in digitally savvy talent. In an age where competing on digital is a chief priority, retailers must ensure their investments in talent are aligned. This certainly pertains to store associates, customer service teams, digital marketing, and other key contributors, who will need to gain fluency in technology and tools to delight their customers, but one of the most important talent questions for retailers in fact relates to management. Today’s digital environment means that the retail C-suite must complement traditional skill sets such as merchandising and store networking with technology savvy, in order to continue to meet the needs of customers when it comes to omnichannel, digital, and supply chain and operations strategies. While the current environment presents many risks for digital disruption, there are just as many opportunities for organizations to embrace digital platforms and tools for training talent, and identify key areas for growth. A recent Navigant survey found that U.S. hospitals and health systems experienced an average 39% reduction in their operating margins from 2015 to 2017. This was because their expenses grew faster than their revenues, despite cost-cutting initiatives. As I speak with industry executives, a common refrain is “I’ve done all the easy stuff.” Clearly, more is needed. Cost reduction requires an honest and thorough reassessment of everything the health system does and ultimately, a change in the organization’s operating culture. When people talk about having done “the easy stuff,” they mean they haven’t filled vacant positions and have eliminated some corporate staff, frozen or cut travel and board education, frozen capital spending and consulting, postponed upgrades of their IT infrastructure, and, in some cases, launched buyouts for the older members of their workforces, hoping to reduce their benefits costs. Contract rationalization. Contracted services account for significant fractions of all hospitals’ operating expenses. The sheer sprawl of these outsourced services is bewildering, even at medium-size organizations: housekeeping, food services, materials management, IT, and clinical staffing, including temporary nursing and also physician coverage for the ER, ICU and hospitalists. More recently, it has come in the form of the swarms of “apps” sold to individual departments to solve scheduling and care-coordination problems and to “bond” with “consumers.” There is great dispersion of responsibility for signing and supervising these contracts, and there is often an unmanaged gap between promise and performance. An investor-owned hospital executive whose company had acquired major nonprofit health care enterprises compared the proliferation of contracts to the growth of barnacles on the bottom of a freighter. One of his company’s first transition actions after the closure of an acquisition is to put its new entity in “drydock” and scrape them off (i.e., cancel or rebid them). Contractors offer millions in concessions to keep the contracts, he said. Barnacle removal is a key element of serious cost control. For the contracts that remain, and also consulting contracts that are typically of shorter duration, there should be an explicit target return on investment, and the contractor should bear some financial risk for achieving that return. The clinical-services contracts for coverage of hospital units such as the ER and ICU are a special problem, which I’ll discuss below. Eliminating layers of management. One thing that distinguishes the typical nonprofit from a comparably-sized investor-owned hospital is the number of layers of management. Investor-owned hospitals rarely have more than three or four layers of supervision between the nurse that touches patients and the CEO. In some larger nonprofit hospitals, there may be six. The middle layers spend their entire days in meetings or on conference calls, traveling to meetings outside the hospital, or negotiating contracts with vendors. In large nonprofit multi-hospital systems, there is an additional problem: Which decisions should be made at the hospital, multi-facility regional, and corporate levels are poorly defined, and as a consequence, there is costly functional overlap. This results in “title bloat” (e.g., “CFOs” that don’t manage investments and negotiate payer or supply contracts but merely supervise revenue cycle activities, do budgeting, etc.). One large nonprofit system that has been struggling with its costs had a “president of strategy,” prima facie evidence of a serious culture problem! Since direct caregivers are often alienated from corporate bureaucracy, reducing the number of layers that separate clinicians from leadership — reducing the ratio of meeting goers to caregivers — is not only a promising source of operating savings but also a way of letting some sunshine and senior-management attention reach the factory floor. However, doing this with blanket eliminations of layers carries a risk: inadvertently pruning away the next generation of leadership talent. To avoid this danger requires a discerning talent-management capacity in the human resources department. Pruning the portfolio of facilities and services. Many current health enterprises are combinations of individual facilities that, over time, found it convenient or essential to their survival to combine into multi-hospital systems. Roughly two-thirds of all hospitals are part of these systems. Yet whether economies of scale truly exist in hospital operations remains questionable. Modest reductions in the cost of borrowing and in supply costs achieved in mergers are often washed out by higher executive compensation, more layers of management, and information technology outlays, leading to higher, rather than lower, operating expenses. A key question that must be addressed by a larger system is how many facilities that could not have survived on their own can it manage without damaging its financial position? 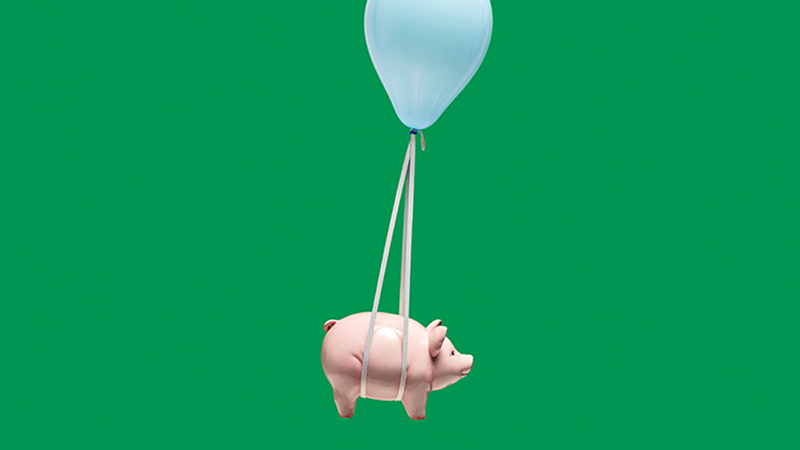 As the U.S. savings and loan industry crisis in the 1980s and 1990s showed us, enough marginal franchises added to a healthy portfolio can swamp the enterprise. In my view, this factor — a larger-than-sustainable number of marginal hospital franchises — may have contributed to the disproportionate negative operating performance of many multi-regional Catholic health systems from 2015 to 2017. In addition to this problem, many regional systems comprised of multiple hospitals that serve overlapping geographies continue to support multiple, competing, and underutilized clinical programs (e.g., obstetrics, orthopedics, cardiac care) that could benefit from consolidation. In larger facilities, there is often an astonishing proliferation of special care units, ICUs, and quasi-ICUs that are expensive to staff and have high fixed cost profiles. Rationalizing clinical service lines, reducing duplication, and consolidating special care units is another major cost-reduction opportunity, which, in turn, makes possible reductions in clinical and support personnel. The political costs and disruption involved in getting clinicians to collaborate successfully across facilities sometimes causes leaders to postpone addressing the duplication and results in sub-optimal performance. Clinical staffing and variation. It is essential to address how the health system manages its clinicians, particularly physicians. This has been an area of explosive cost growth in the past 15 years as the number of physicians employed by hospitals has nearly doubled. In addition to paying physicians the salaries stipulated in their contracts, hospitals have been augmenting their compensation (e.g., by paying them extra for part-time administrative work and being on call after hours and by giving them dividends from joint ventures in areas such as imaging and outpatient surgery where the hospital bears most of the risk). The growth of these costs rivals those of specialty pharmaceuticals and the maintenance and updating of electronic health record systems. Fixing this problem is politically challenging because it involves reducing physician numbers, physician incomes, or both. As physician employment contracts come up for renewal, health systems will have to ask the “why are we in this business” and “what can we legitimately afford to pay” questions about each one of them. Sustaining losses based on hazy visions of “integration” or unproven theories about employment leading to clinical discipline can no longer be justified. But this is not the deepest layer of avoidable physician-related cost. As I discussed in this HBR article, hospitals’ losses from treating Medicare patients are soaring because the cost of treating Medicare patient admission is effectively uncontrolled while the Medicare DRG payment is fixed and not growing at the rate of inflation. The result: hospitals lost $49 billion in 2016 treating Medicare patients, a number that’s surely higher now. The root cause of these losses is a failure to “blueprint,” or create protocols for, routine patient care decisions, resulting in absurd variations in the consumption of resources (operating room time; length of stay, particularly in the ICU; lab and imaging exams per admissions, etc.). The fact that hospitals have outsourced the staffing of the crucial resource-consuming units such as the ICU and ER makes this task more difficult. Patients need to flow through them efficiently or the hospital loses money, often in large amounts. How many of those contracts obligate the contractual caregivers to take responsibility for managing down the delivered cost of the DRG and reward them for doing so? Is compensation in these contracts contingent on the profit (or loss avoidance) impact of their clinical supervision? These are all difficult issues, but until they are addressed, many health systems will continue to have suboptimal operating results. While I am not arguing that health systems abandon efforts to grow, unless those efforts are executed with strategic and operational discipline, financial performance will continue to suffer. A colleague once said to me that when he hears about someone having picked all the low-hanging fruit, it is really a comment on his or her height. Given the escalating operating challenges many health systems face, it may be past time for senior management to find a ladder. In a recent article, The Guardian newspaper called for the National Health Service to turn to universities as a key resource, arguing that the research ecosystem in the UK is fragmented and more partnerships that align expertise with the goal of improving public health are needed. The recommendation was echoed in a recent U.S. research study, which observed that 30–40 percent of patients in the United States “do not receive care complying with current research evidence.” It suggested that collaboration in research, education, and clinical practice too often remain unexplored in many developed countries across the world. A case study for what such collaboration can look like is the healthcare sector in Qatar. In a decade, it has advanced from being ranked 27th in the world to 13th, and now stands as the highest in the Middle East and North Africa region. 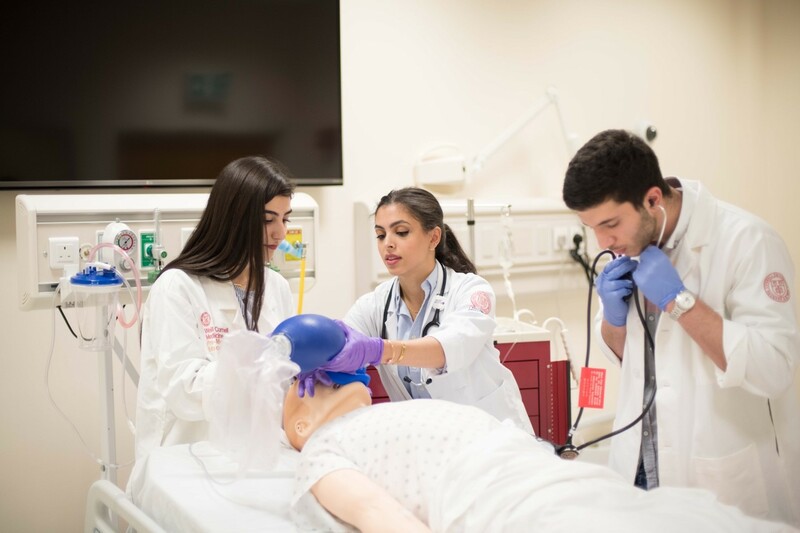 Higher education plays a key role in advancing national and regional public health in Qatar since the work of developing and personalizing cutting-edge treatment interventions is firmly implanted in academic institutions. Qatar Foundation (QF), a non-profit organization supporting Qatar’s development, works to ensure that education lends itself to practice in ways that make it inseparable from the process of diagnosis and treatment. For instance, Sidra Medicine, the country’s premier hospital for women and children, benefits from the academic scholarship of Weill Cornell Medicine-Qatar (WCM-Q), a medical university just across the street from its fellow QF entity, by having WCM-Q’s professors serve as physicians within its various departments. 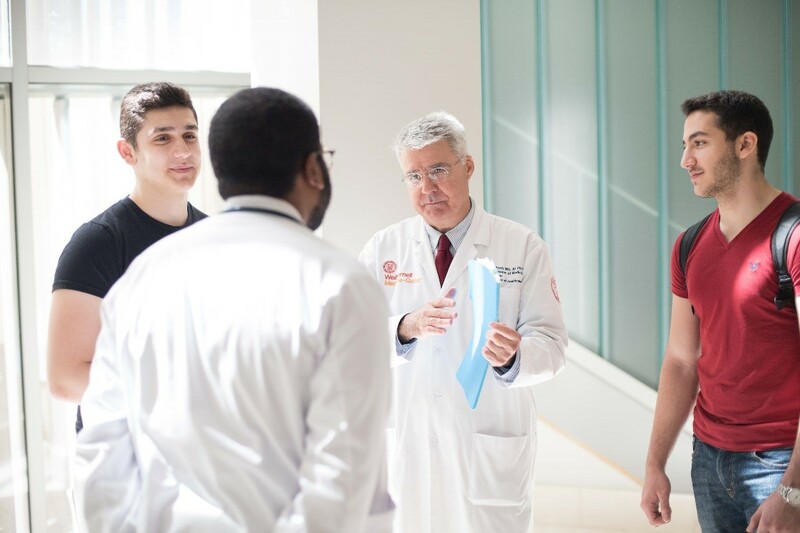 Sidra academicians, by the same token, hold faculty positions and professorships at WCM-Q, further boosting interprofessional training for medical students and professionals. Through such programs, QF ensures practicing doctors are equipped with the theoretical knowledge of academics that they might otherwise leave behind after their graduation. Sidra and WCM-Q are joined by specialized schools for children with autism and other learning challenges, all of which are part of a larger learning ecosystem built by QF—known as Education City— which features dozens of academic, research, and community centers. Located in a 3,000-acre campus, Education City benefits the national healthcare sector by ensuring that the results of research are swiftly translated into patient care. Within this integrated learning environment, QF has also established the World Innovation Summit for Health (WISH), an initiative that gathers a global community of health experts, innovators, and policymakers to capture and transmit the best evidence-based ideas and practices in the health industry. In 2016, WISH published a report titled ‘Autism: A Global Framework for Action’—compiled by 11 thought-leaders from five continents—that emerged through this unique ecosystem. “One day, while having breakfast with the then-CEO of WISH, he asked me how we could address autism for the 2016 WISH summit,” said Dr. Azeem, who then organized a panel of specialists in this area to explore the possibilities of this project. The result of this association was an evidence-based report recommending best practices in autism services for developing and middle-income countries. “In less than one year, we were able to see an idea born out of a breakfast meeting come to life,” he said. The example illustrates how cross-functional work between various health-related organizations ensures that innovation is not bogged down by the bureaucracies that often accompany formal partnerships. As Dr. Azeem’s experience shows, projects in Education City capable of setting local and international standards can begin with a simple meeting with an entity next door. In a typical university-hospital association, one party takes the initiative and offers incentives to the other to enter into a mutually beneficial pact. In Qatar, however, QF acts as the driving force for bringing different organizations to the table, pushing them to use their expertise to fill existing gaps in the health system. A key example of this is Qatar’s National Autism Plan. Since the Ministry of Public Health launched the plan in 2017, Dr. Azeem has been instrumental in foregrounding the benefits of involving stakeholders from the private and public sector. 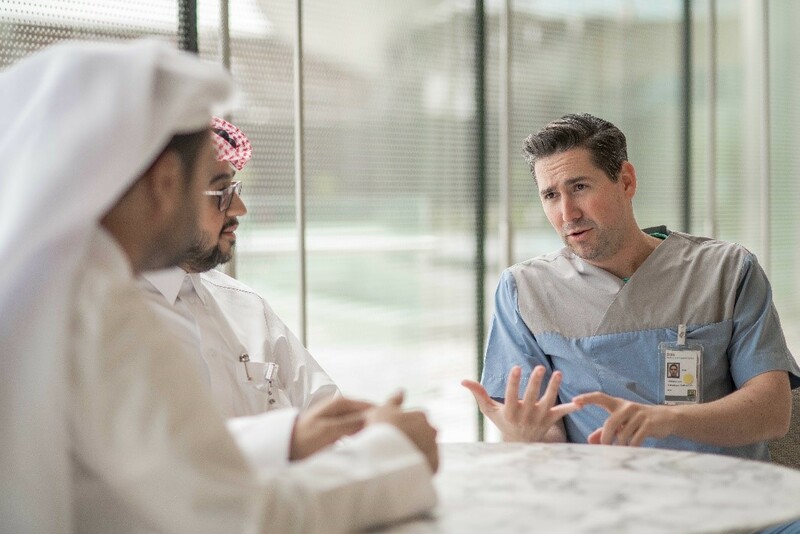 Sidra may have only opened its main hospital building earlier this year, but the medical network through which it interacts with other educational and research entities within QF is already bearing fruit. In October, Sidra performed the country’s first separation surgery of conjoined twins, paving the way for complex pediatric surgeries and eliminating the local need to travel abroad for rare and complex conditions. Sidra also ushered in an era of medical tourism in Qatar when a prematurely-born baby was flown to Qatar from Kuwait for an emergency operation to correct a heart defect, at just 29 days old. Such examples outline how connecting hospitals with universities, and research institutes with public health centers, has all the signs of being the most efficient way forward for revolutionizing ailing healthcare systems around the world. To learn more about Qatar Foundation and its various initiatives, visit www.qf.org.qa. Is your teamwork not working? In this episode of HBR’s advice podcast, Dear HBR:, cohosts Alison Beard and Dan McGinn answer your questions with the help of Amy Edmondson, a professor at Harvard Business School and the author of The Fearless Organization: Creating Psychological Safety in the Workplace for Learning, Innovation, and Growth. They talk through what to do when your team isn’t communicating, doesn’t respect its leader, or has one employee who’s causing problems.